Love at first sight is such a wonderful idea. However, how many of us have experienced it in real life? The answer is “rarely”. If anything, we have mostly seen those occurrences in dramas. Why bother making another drama where a man and a woman cross paths coincidentally and suddenly fall in love? Therefore, this drama plans to show the viewers something more relatable – love that blooms in our everyday lives. 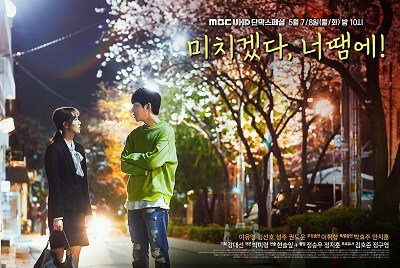 This drama shows how a familiar relationship turns into a fluttering relationship, how a friendship suddenly turns into love, and how a once dull life suddenly becomes blinding due to love. This drama is about a man and a woman who have nothing more to share thanks to their completely different personalities. However, they have no idea whom they are in love with. Gradually, they rediscover themselves and reach out for love one step at a time.